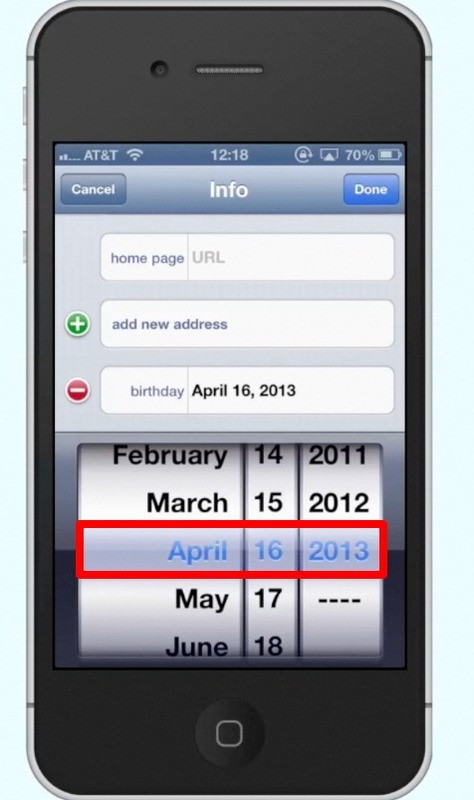 In this tutorial you will learn how to create a birthday calendar on the iPhone. 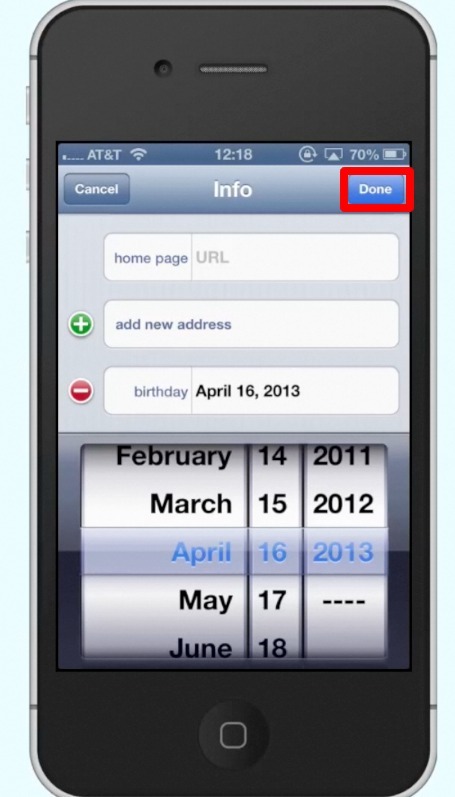 Choose the contact you want to add the birthday calendar to. I’m going to choose, John Smith. Tap the edit icon in the top right corner and scroll all the way down to the bottom. 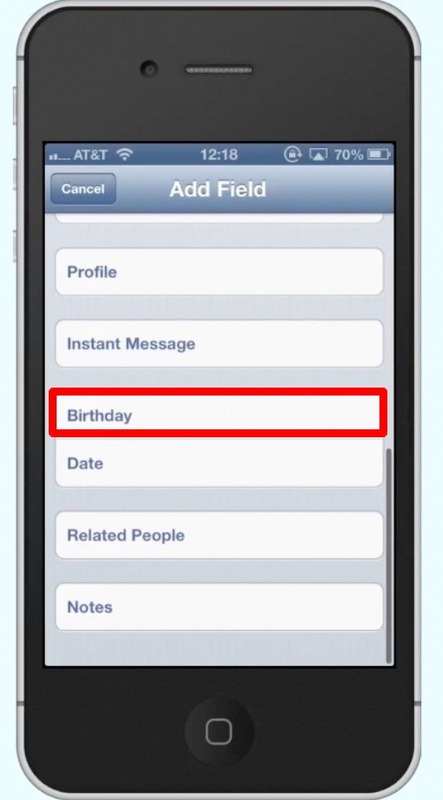 After you tap add field, you will scroll down to the birthday category and tap its respective icon. Select the date. Lets choose April 16th, 2013. 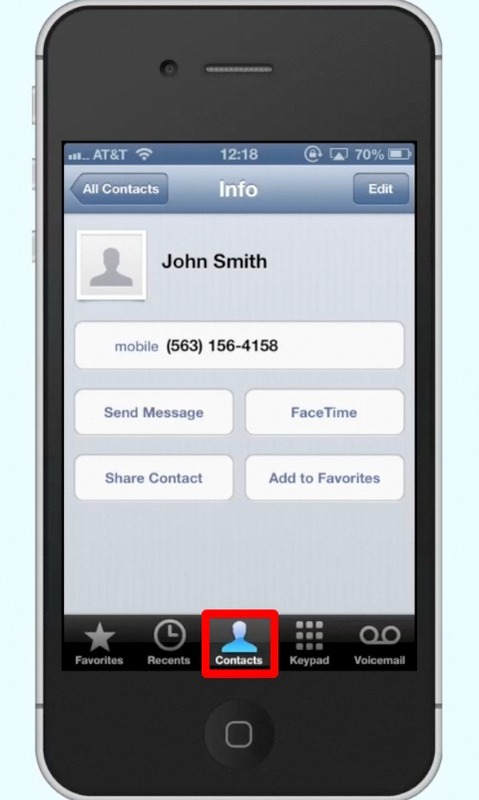 In the top right corner of the screen, tap the done icon. 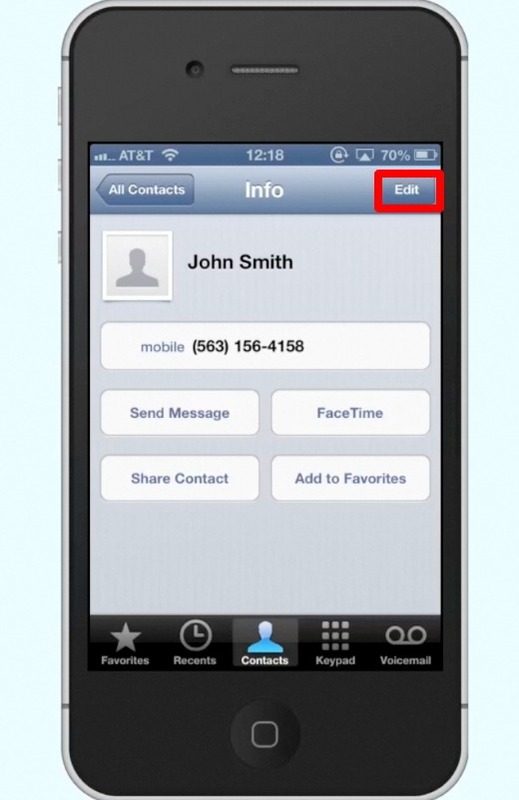 Now when you go to your calendar you can see the birthday calendar show up on April 16th, 2013 for John Smith.